The magical methods of Paris’s most in-demand facialist. In a new series, VIOLET GREY profiles female beauty entrepreneurs who are considered industry game changers for their individual approach to business. Each one entered the conversation in her own manner and maintained a steady, if not unparalleled, trajectory with her indomitable spirit. Here, we talk to French celebrity epidermologist Joëlle Ciocco. Joëlle Ciocco is the revered French epidermologist whose facials have achieved the kind of renown usually reserved for the grotto at Lourdes. Ciocco, a biochemist by training, has spent more than three decades attending to the faces of the famous French, resulting in the kind of client list other derms would die for—think Catherine Deneuve, Juliette Binoche, Carla Bruni-Sarkozy, and Carine Roitfeld, among others. You may not be acquainted with the field of epidermology: It is Ciocco’s creation, an exacting art that addresses the skin’s well-being. She insists that the starting point for her treatments is rooted in common-sense basics—clean skin and hydration—which she follows with more cutting-edge technology such as lasers and light therapy. It’s this mix of French mystique, no-nonsense attitude, and science that keeps her clients coming back. 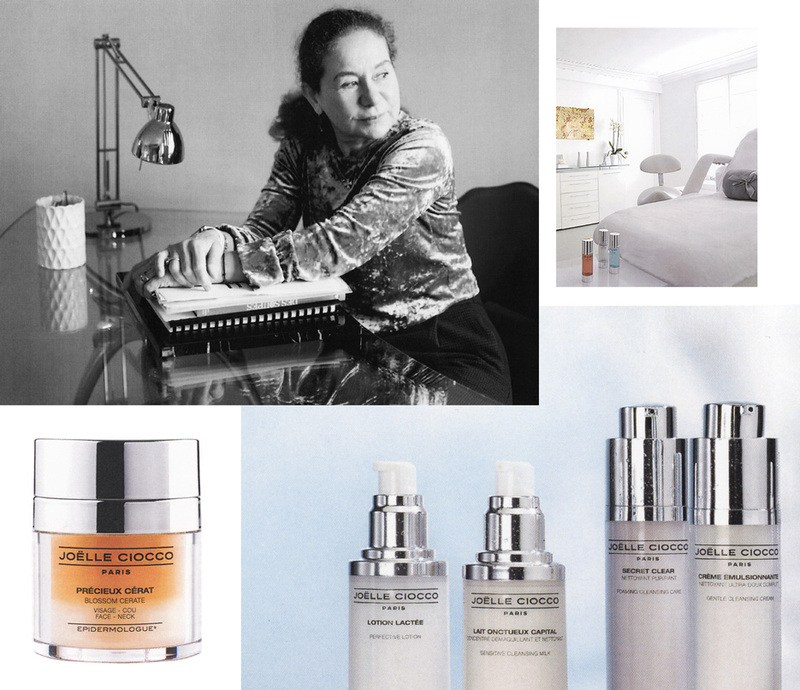 Ciocco brings the full force of her scientific background to her range of products. In her discreet atelier on Place de la Madeleine, small wonders are wrought with the cleansing system she has developed. Core to Ciocco’s belief is that the face should be cleansed twice, just as you wash your clothes and your body. Her best-selling product, Lait Onctueux Capital—which has been called the Rolls-Royce of cleansers and is beloved by Natalie Portman—is a makeup-removing milk with neroli, designed to deeply cleanse and strengthen the skin’s natural defenses against aging. She also maintains that the two most important elements of good skincare are simply water and oil, the latter of which she offers in an array of masterfully blended, potent concentrations with divine textures. Ciocco’s legion of devotees also swear by her Radio Frequency and Grand Soin facials—as well as the vaguely torturous-sounding signature Buccal Massage, wherein an aesthetician massages the insides of the mouth to tone the cheeks. “We have developed a technique that works to stretch the mask of muscle on the face, because anti-aging is not just about the outside skin tissue,” she explains. Not long ago, I chose a little bedroom to practice meditation in each night. I really love this bedroom because I have a view of my garden. And when there is a full moon, I can see it clearly through my window. I love that light. I have a large natural gum mattress that sits on a slatted bed base made of exotic wood. I have classic linen bedding and blankets either in wool or another natural fabric. And feather pillows which I purify with lavender oil each week. 7 a.m. I really love this hour because the sun is just coming up, the air is pure, and we can hear the birds – as opposed to street noise. No, I wake up on my own - even if I go to bed late. I need 7 hours –which usually [only] happens during holidays. Otherwise I wake up at 3 a.m. and then at 5 a.m.
You need water at your disposal, and I have peppermint with sugar in case of breathing or digestion problems. I also have hand cream – which is most beneficial at night. And I have physiological saline in order to clean my eyes before sleeping. I drink decaf and I eat gluten-free toast or porridge oats and fruit. I am also partial to an egg white omelette if can get one! Yes every morning for 1 hour. It first depends on the weather and then on my day. If I go to the swimming pool, I will apply a protective oil. If I do outdoor sports, I will put something on to protect my skin such as my Thermoregulatory Lotion or my Skin Defensive and then a sunscreen. If it is a normal day in the city, I will put on lotion, an eye contour, and then my thermoregulatory lotion or my skin defensive -depending on the weather. I then put on serum or an oil and a cream and a slightly tinted sunscreen because, at my age, my skin has become more sensitive to light. I am really lucky to have beautiful hair. I do not dye it anymore. I only apply 100% natural oil, which was made by my friend Christophe Robin. I take public transportation a lot, and I [usually] take this time for my calls. At 9 a.m., I go to my home office or my laboratory. At noon, I go to my beauty center in Paris.